Boy Scouts of America Commemorative Silver Dollar Money Clip, gold tone spring-loaded money clip will hold even a single bill. 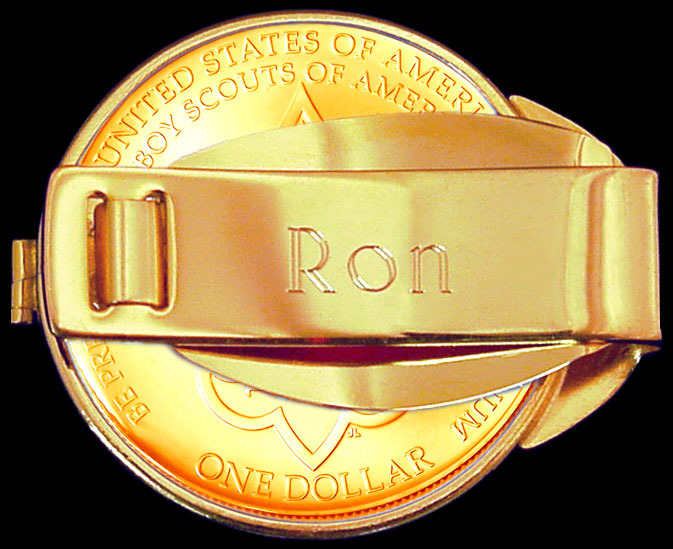 All coins are enhanced with precision 24K gold and LensCote protected. 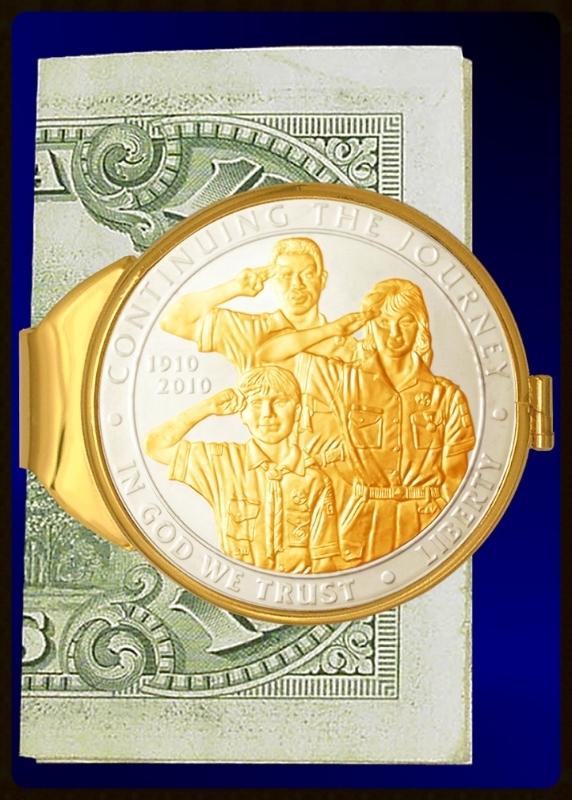 Honor and celebrate the centennial of the Boy Scouts of America with this Commemorative Silver Dollar Gold Plated Money Clip. Released only in 2010 by the US Mint after passage of special legislation calling for its creation, the 90% pure silver coin features a design approved by the Boy Scouts of America and the U.S. Treasury Dept. All coins are enhanced with precision 24K gold and LensCote protected for posterity. Certificate of authenticity, unique numbered signet and lifetime limited warranty.